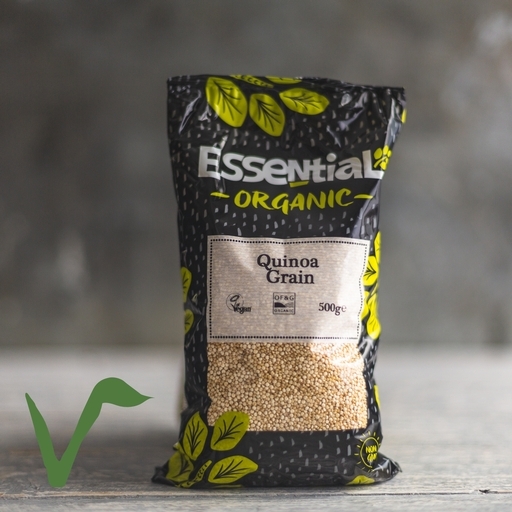 Delicate, nutty organic quinoa: light, nutritious, quick cooking and gluten free. It also contains all nine essential amino acids your body needs in one fluffy-yet-crunchy bite, so it’s a great protein source for vegetarians. Use as a base for all sorts of dishes, from spicy stuffed veg to light summer salads. You can even use it to replace oats in your morning porridge. Give it a quick rinse in cold water before cooking to remove its slightly bitter coating. In a saucepan, add one-part quinoa to two-parts water. Bring to the boil and then simmer for about 10 minutes, until the water is absorbed. Try simmering it in stock rather than water to enhance its flavour. Keep quinoa sealed in a tub or jar in a cool, dark cupboard and it’ll last a couple of years. Cooked quinoa should be stored in the fridge and eaten within a few days.